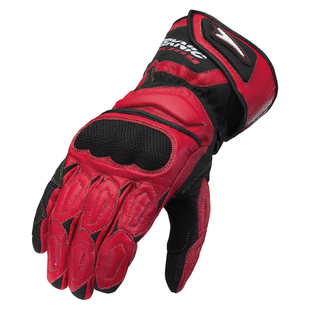 The Teknic Chicane glove is a full gauntlet for the aggressive sport rider and is available at a great price point. 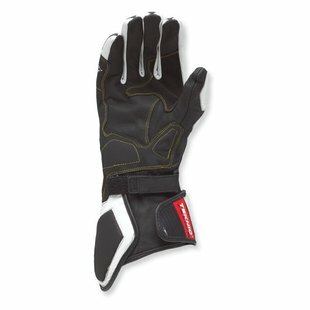 The glove has pre-curved fingers and palm, is low profile and has an American fit. These Teknic gloves are supple drum dyed cowhide and goatskin construction materials, the palm and pinkie reinforcement is Kevlar. The knuckle protector is steel threaded and reinforced with multiple areas of reinforcement in the fingers and thumb. What a great looking pair of riding gloves.